Category: Blackbilly. Tags: Blackbilly, Pinot Gris. Pinot Gris is an emerging variety in Australia but is famous in other regions of the world. 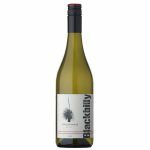 This vintage of Blackbilly Pinot Gris is made in a crisp, dry style and is varietal but with texture that develops with bottle age. Recommended food pairings: Oysters, Sushi and Sashimi! This wine also has an affinity for spice and chilli so open a bottle to go with your favourite Chinese, Thai or Mexican food.